I don't have a card related to this holiday for you, but I do have four cards for you using Mixed Bunch. Mixed Bunch and the coordinating punch are two of my favorite items. They remind me of warmer months. This card is a CASE from my friend Heidi Boos. It uses Melon Mambo, Daffodil Delight and Tempting Turquoise. I love how brights and cheerful the colors are! Thanks for the idea Heidi! 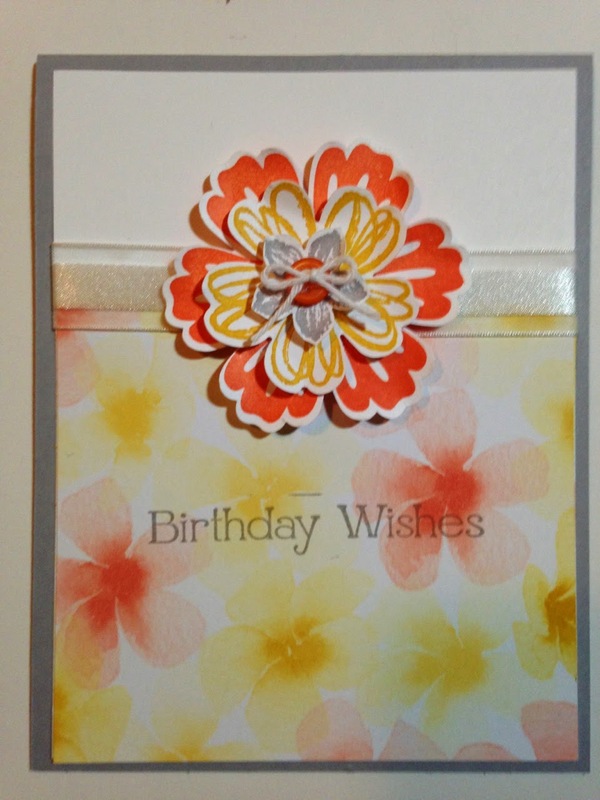 This card is also a CASE of one of Heidi's cards, however I only cased her layout for a similar card. I used Strawberry Slush, Crushed Curry and Bermuda Bay. 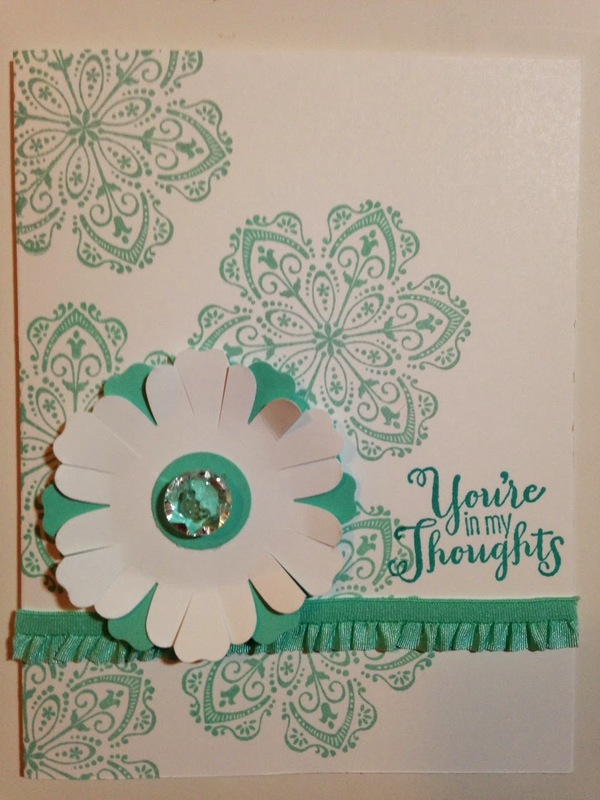 This card uses Whisper White and Coastal Cabana. 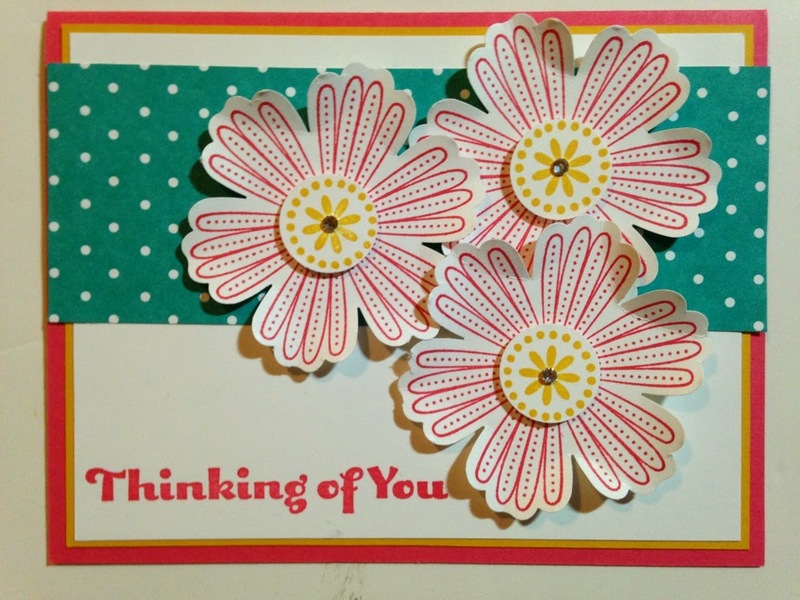 The sentiment comes from the 25th Anniversary Stamp Set: Best of Sentiments. You only have until March 31st to get any of the Best of stamp sets. I think this is my favorite card of the four. It uses Tangerine Tango, Crushed Curry and Smoky Slate. I love the Watercolor Wonder Designer Series Paper that I used on the bottom. I layered the Mixed Bunch image, with the Flower Shop and Petite Petals images. I added a Tangerine Tango button to the center with a Whisper White bow using the Baker's Twine. 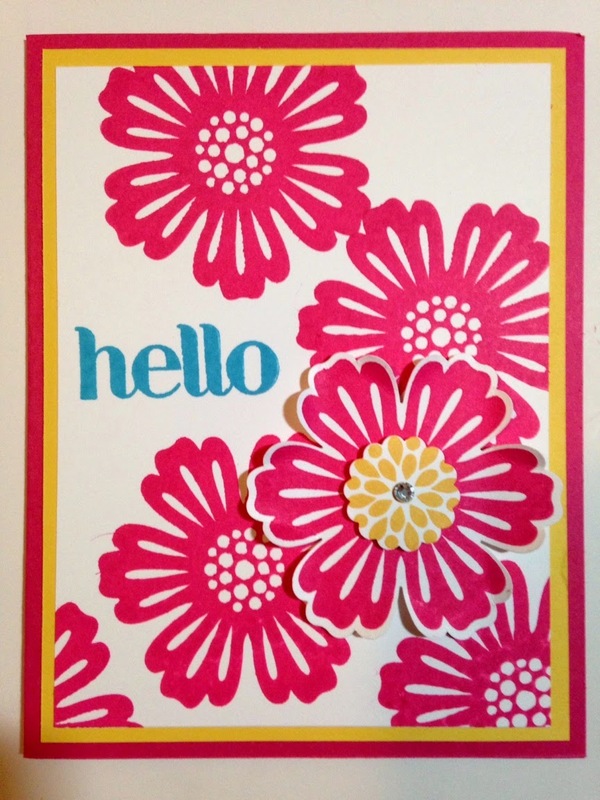 Come back tomorrow for more stamping inspiration! Thanks for following me!